When I was little, I always wondered why the name Cotonou was given to a major city in Benin. I used to think that the name was probably a French transcription of the word ‘coton’ (cotton) for ‘coton – ou’, and that maybe there used to be a lot of cotton there … but nowhere did I find cotton to be the main export or agriculture of Cotonou or Benin. For starters, Cotonou is the largest city and the economic capital of the Republic of Benin. Cotonou is known in West Africa for its international market Dantokpa, which is hosted over 20-hectares, and is the largest market in the whole of West Africa, generating over 1 billion CFA-Franc per day. Cotonou is also well-known for its Zemidjans (or moto-taxis, similar to the Cameroonian bend-skins), and its pollution arising from its use of bad petrol (essence frelatée) also known as kpayo, which is fraudulously imported from neighboring Nigeria. Located on the coastal strip between Lake Nokoué, and the Atlantic ocean, Cotonou’s name comes from the Fon language and means “mouth of the river of death.” At the beginning of the 19th century, Kotonou (as it was then spelled) was a small fishing village. It was originally ruled by the Kingdom of Dahomey until a treaty made with the French by King Ghezo in 1851 allowed the French to establish a trading post at Cotonou. 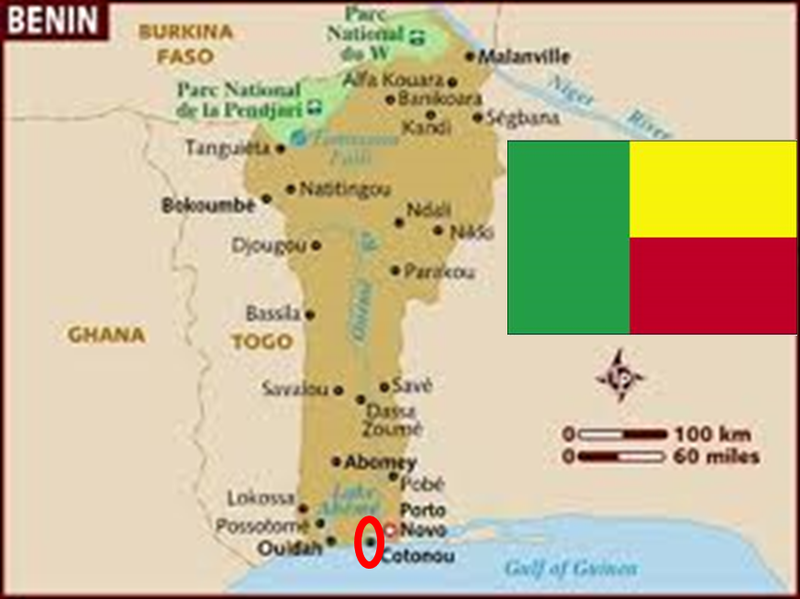 When Glèlè succeeded to his father Ghezo, the territory of Kotonou was ceded to France by a treaty signed on 19 May 1868. After Glèlè’s death in 1889, his son Behanzin tried, unsuccessfully, to challenge the treaty. 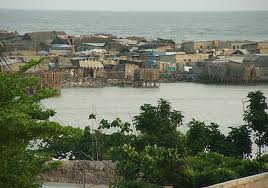 The town Cotonou then developed itself quickly to become today the largest harbor in the region. As the economic capital of the republic of Benin, Cotonou hosts 2/3 of the industries of the country, and is the seat of the main enterprises and banks of Benin. It also hosts many of the governmental institutions of the country. It is now the turntable of commerce in the region, especially because of its close proximity with the Nigerian border (and used to be a place for the conversion of the naira), and is the main port for its neighbor land-locked Niger, which is the world’s first producer of uranium. Enjoy this nice video of Cotonou by benin-passion.com. That’s good to know about that city. I wondered if the name was originally French or from one of the local languages there.